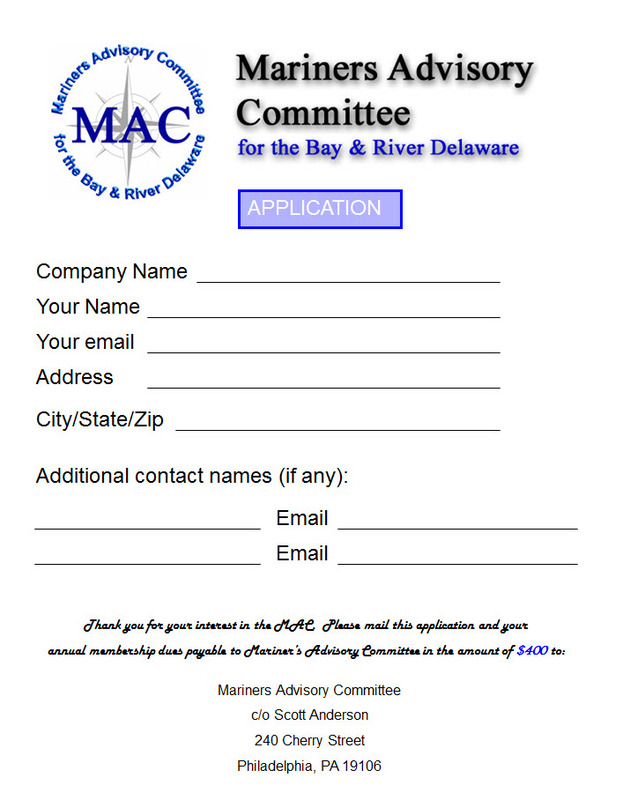 Become a member of the Mariners' Advisory Committee for the Bay & River Delaware. Automatically receive email & SMS notices whenever an important message is posted. Ability to post important messages in the 'Community Notices' section of the site. Name, company, and website listed in multiple places on our site. Use the 'Comments' form on the lower right of this page to request a user account. Include your company and desired username. We will email you once your account is setup.